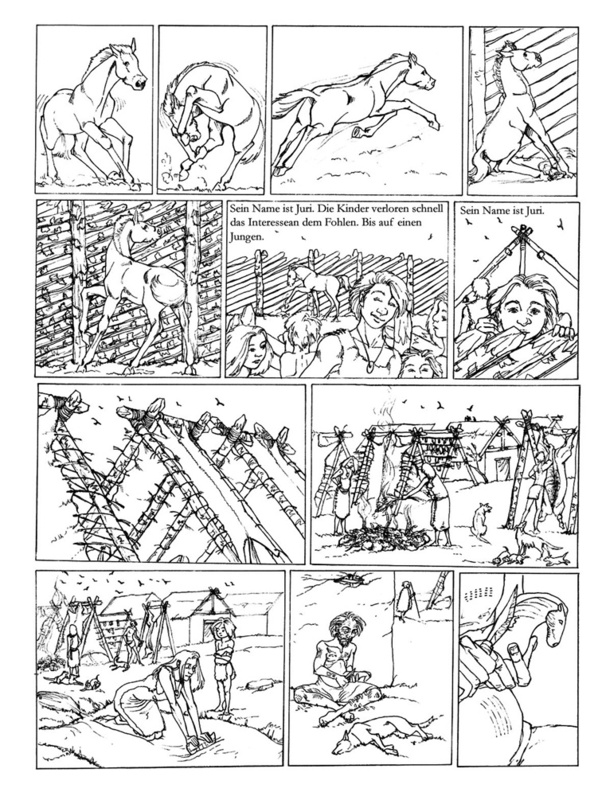 This is one of my old studying projects at the University for Applied Studies in Münster, Germany. 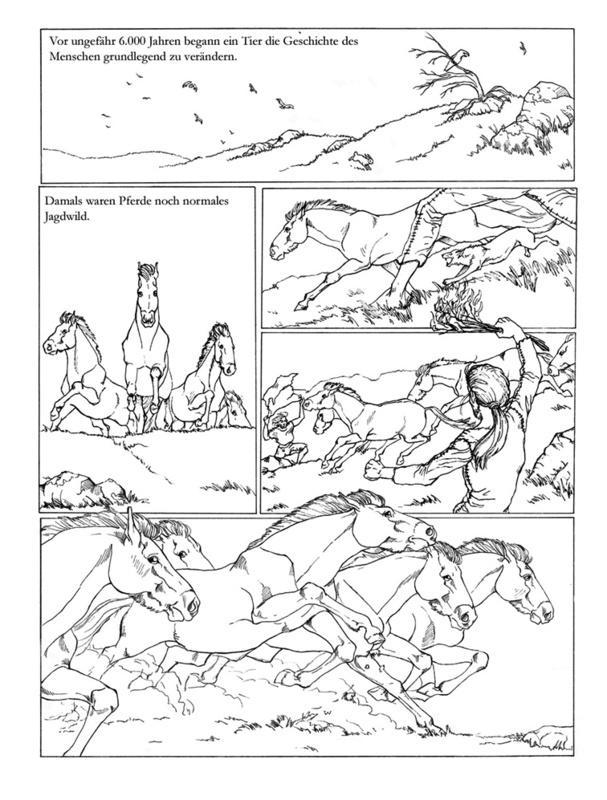 The subject of the project was a comic about the domestication of the horse during the Younger Stoneage. The story is told without dialoge, but with ocasional off text.